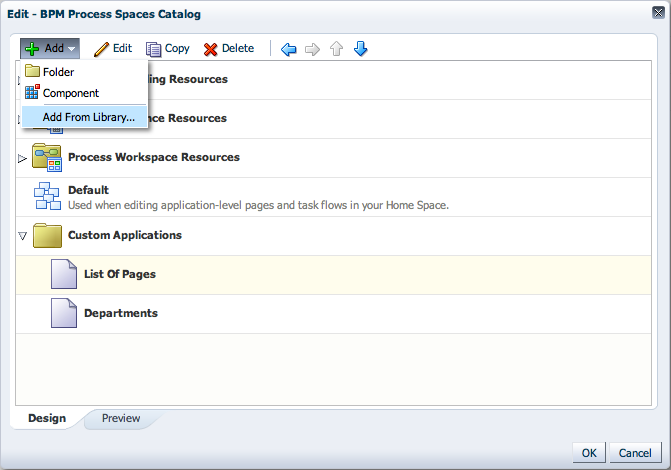 Sometimes there are unique requirements, for example we want to allow access to application screens only from single browser tab. 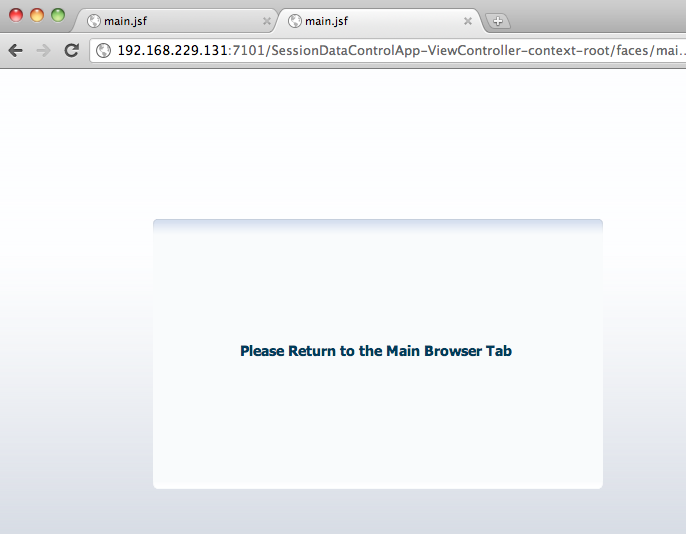 If application screen is accessed within the same session, but from another browser tab - access should be disabled. 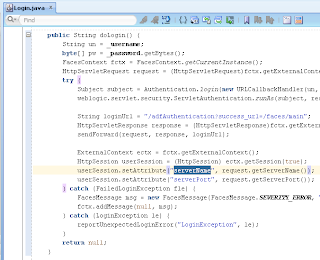 In order to implement such requirement, we need to track if application was already accessed from the same session - if yes, access id disabled. 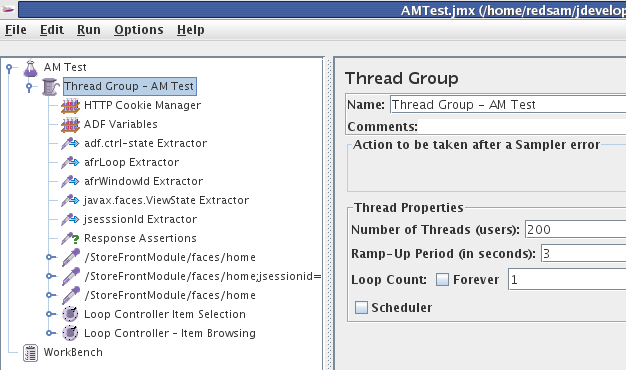 We can implement this by combination of Data Control and Session Scope usage. 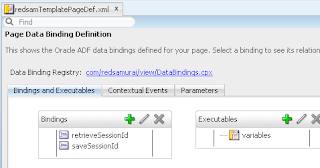 Blog reader was asking what is the difference storing variable value in Session Scope or in Data Control - ADF Region Communication - Region Refresh Through Contextual Event. 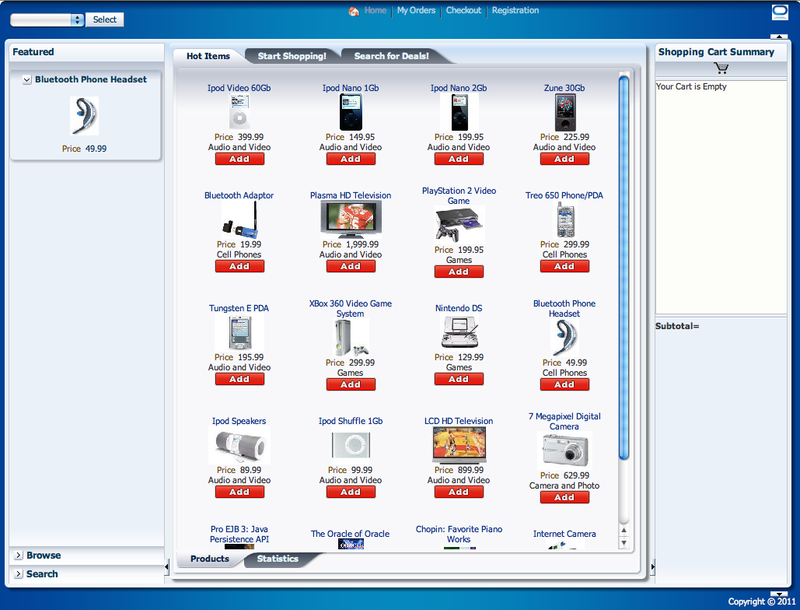 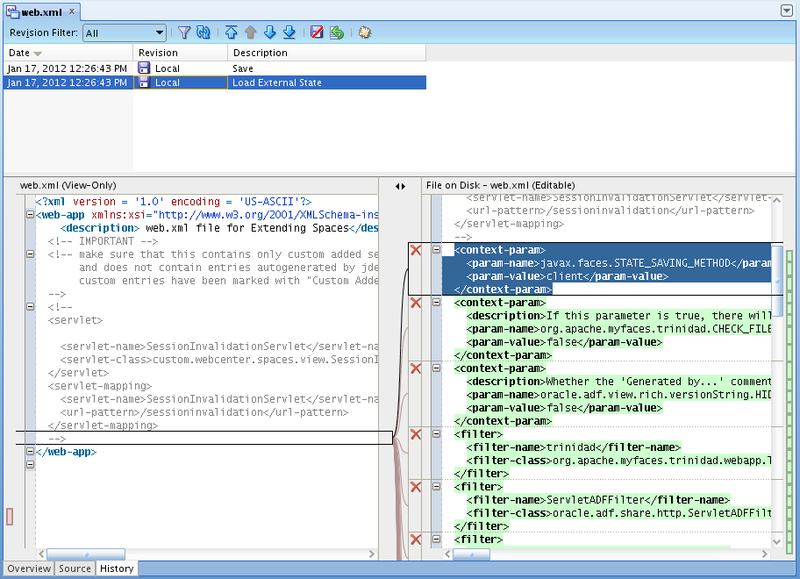 One of the main differences - Session Scope is available across session and is accessible from multiple browser tabs. 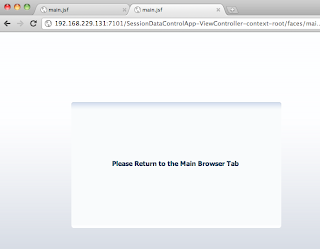 Data Control is always reset for the new browser tab. 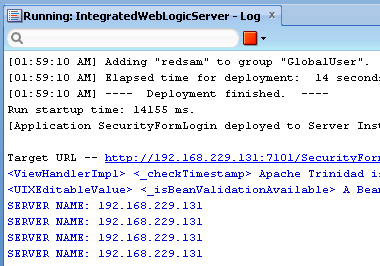 Also you need to be careful not to reset Data Control, by entering into Isolated Scope TF. 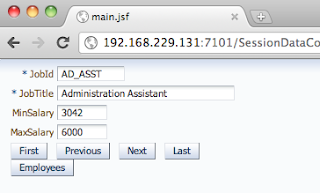 Download completed sample application to control Web browser tabs access - SessionDataControlApp.zip. 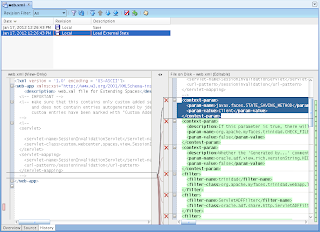 Custom method checks if Session Scope variable was initialized. 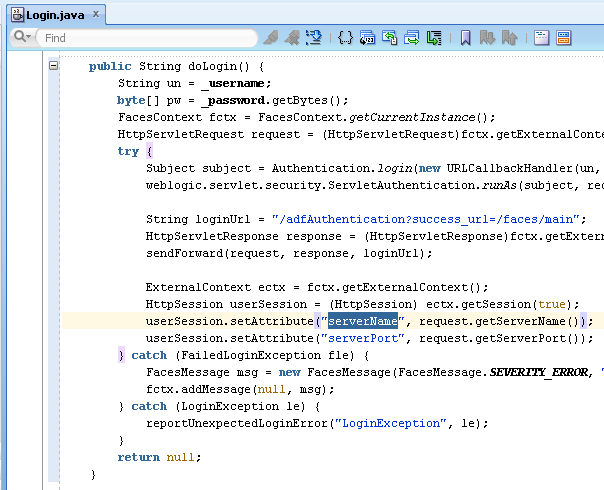 If no - means its first access. 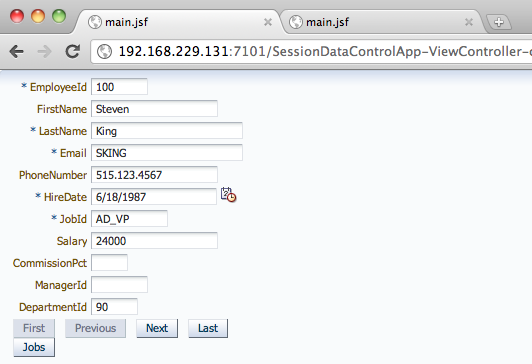 It sets both Session Scope and Data Control variables. 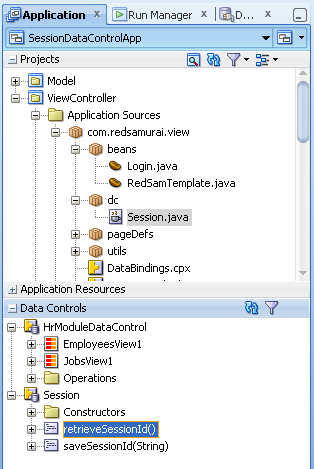 If Session Scope variable was already initialized - it checks if Data Control variable is empty. 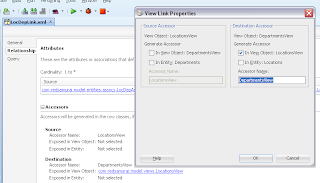 In case of empty Data Control variable - user is accessing application within the same session from another browser tab - access will be restricted. 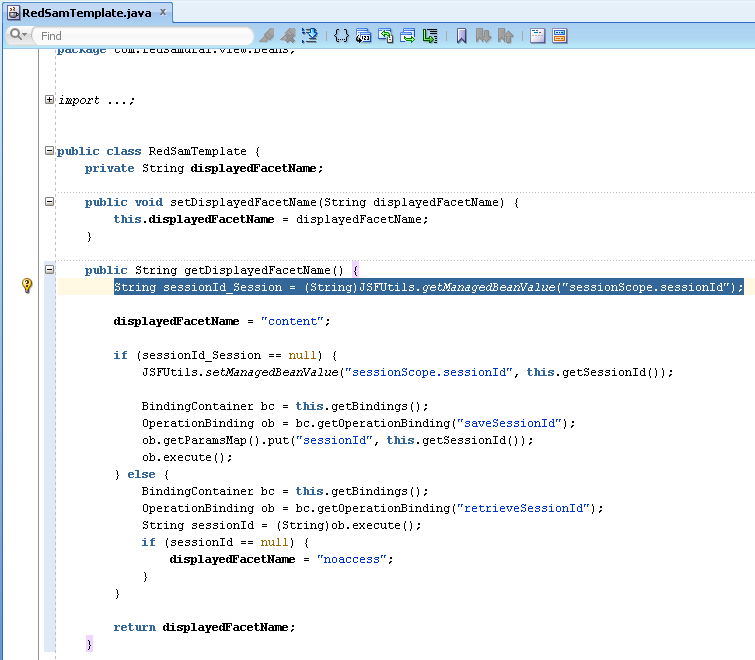 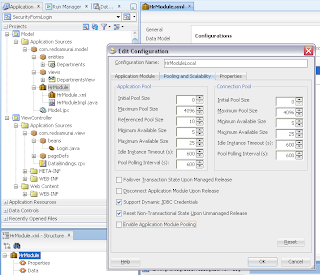 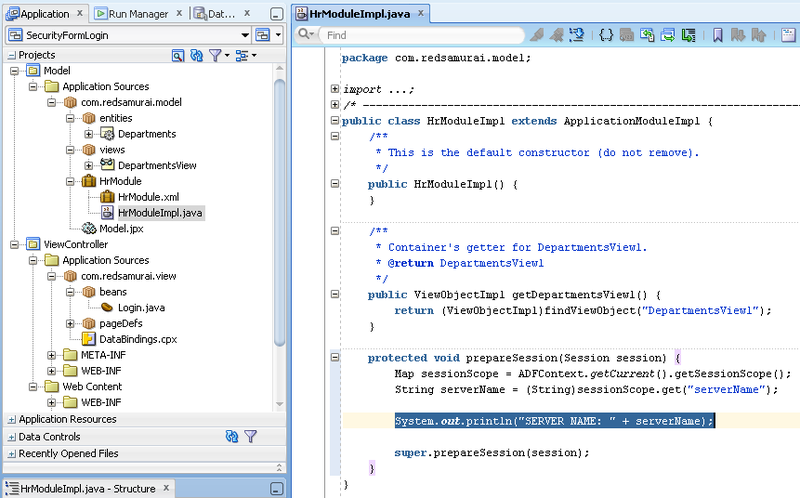 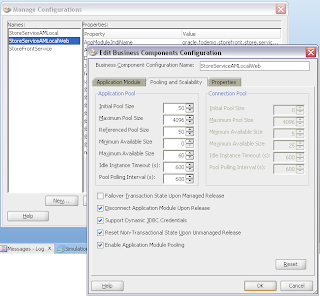 Often we need to access environment variables across all layers of ADF (Model and View-Controller). 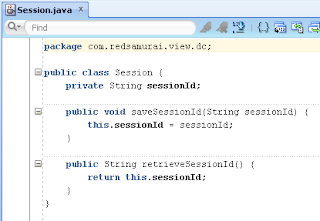 Usually we store environment variables in session scope, this makes them accessible for the duration of user session. 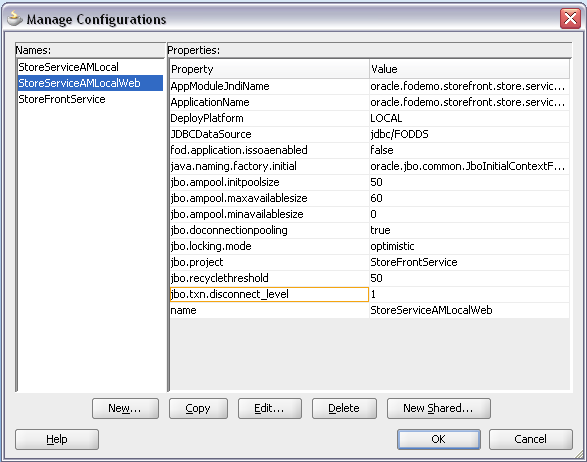 Its common practice to retrieve values from session scope in View-Controller layer. 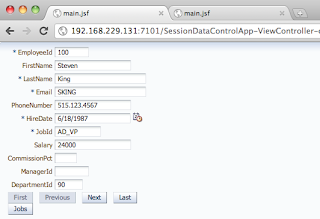 However, is not so common to access session scope from ADF BC. 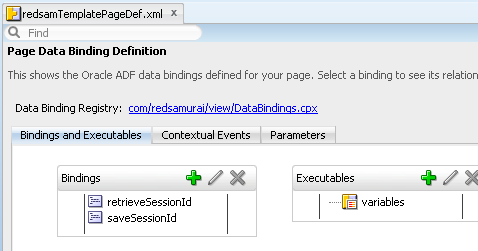 Somehow there is such preconception, that its not possible to access session scope variables from ADF BC. 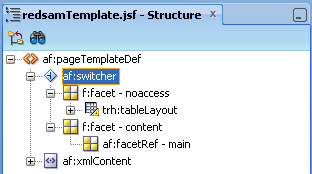 But its possible (no need to add JSF libraries into Model) and I will explain in this short post how to do this. 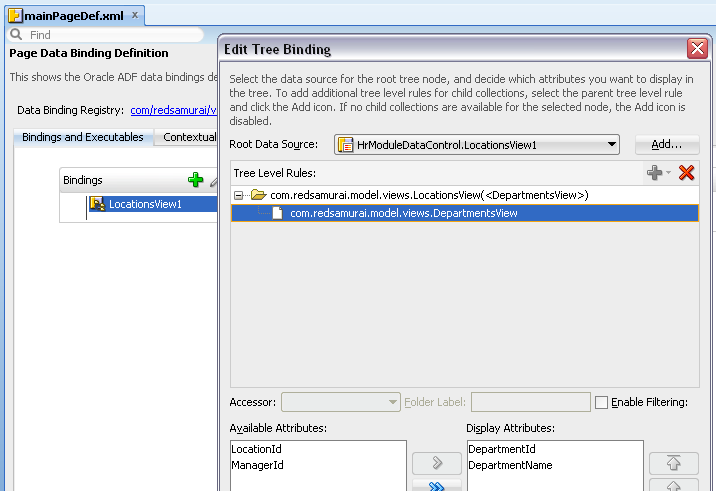 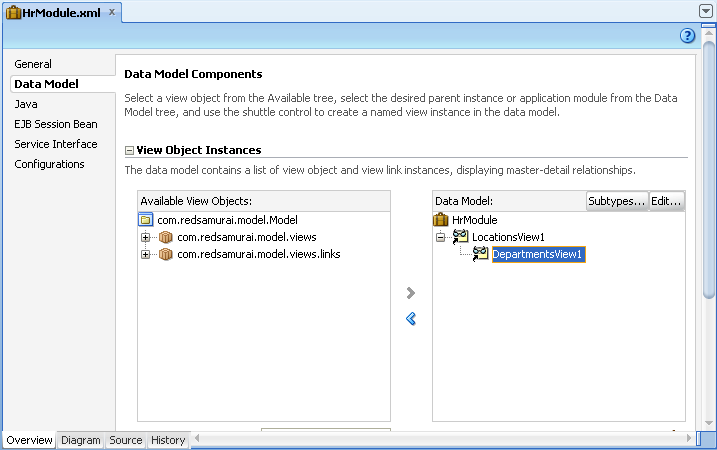 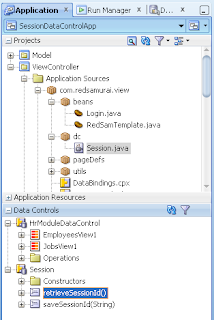 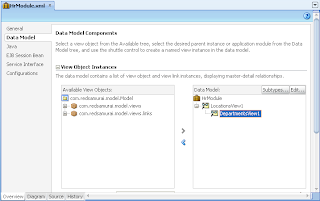 If we want to store custom variable values in ADF BC, we can use UserData object - adf.userSession.userData. 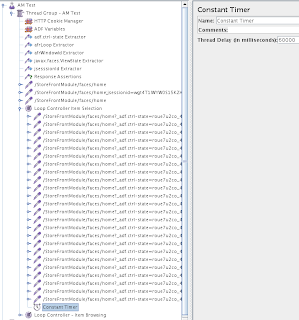 But this approach is not attractive - UserData is reset during passivation/activation and all custom variable values will be lost. 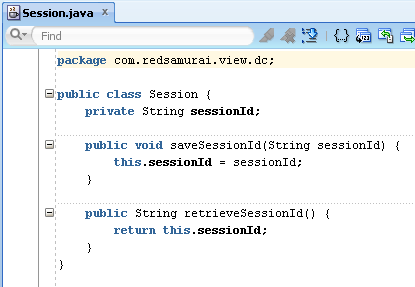 Instead, we can store custom variable values in session scope. 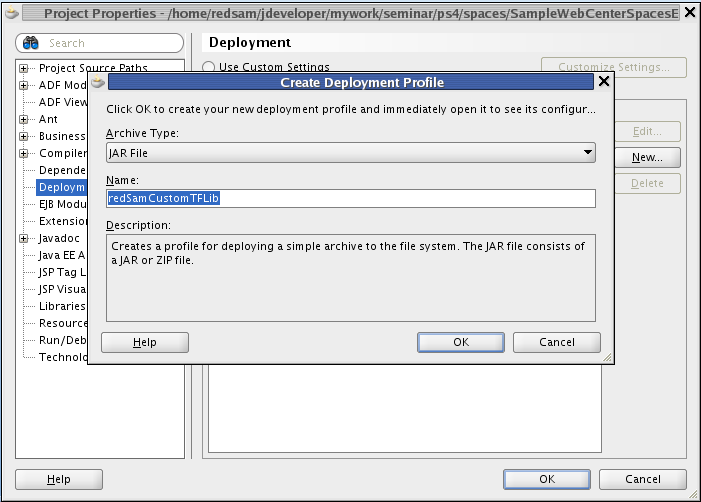 Download sample application - SecurityFormLogin_v2.zip. 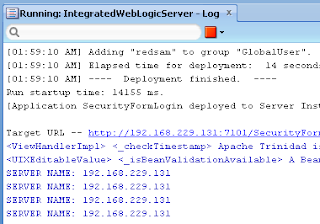 Environment variables are stored in HTTP session, means accessible from session scope. In this example, we are retrieving server name environment variable from HTTP session scope inside ADF BC prepareSession(Session) overridden method. 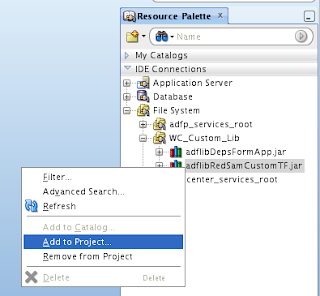 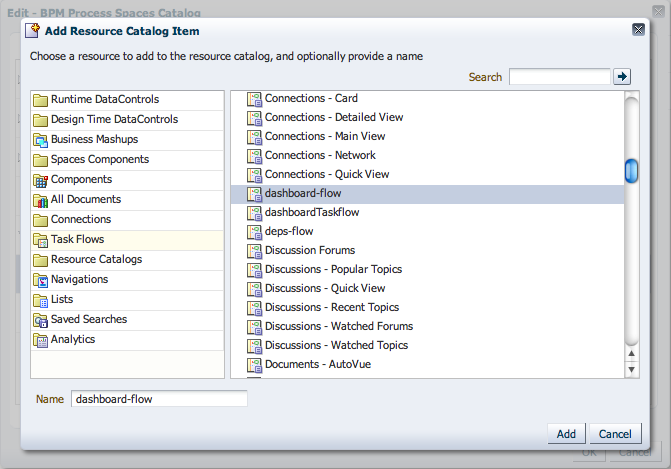 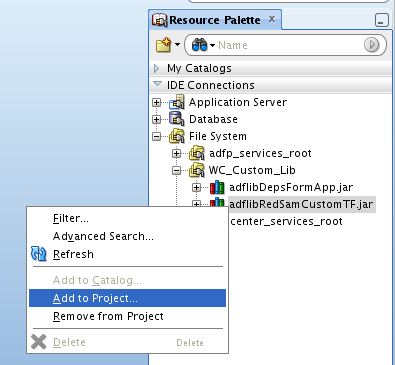 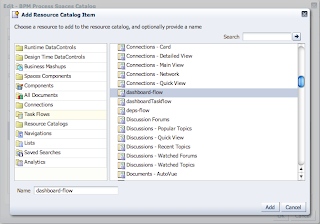 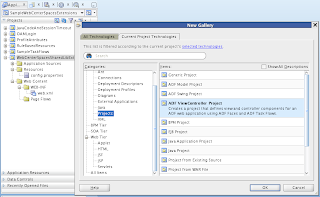 If you are extending WebCenter Spaces with custom ADF Task Flows - make sure to deploy custom ADF Task Flows project library as ADF Library JAR, not just as a simple JAR (more about this - Wrong Deployment Profile to Extend WebCenter Spaces). 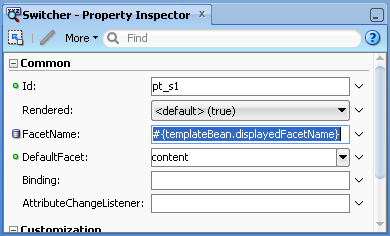 What else to keep in mind? 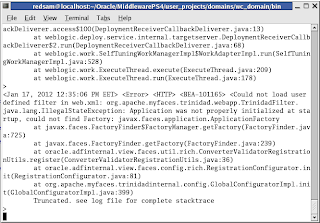 Well there is one thing, you don't want to get when extending WebCenter Spaces - java.lang.IllegalStateException: Application was not properly initialized at startup, could not find Factory: javax.faces.application.ApplicationFactory. 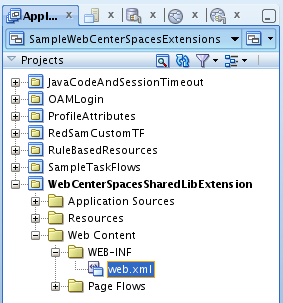 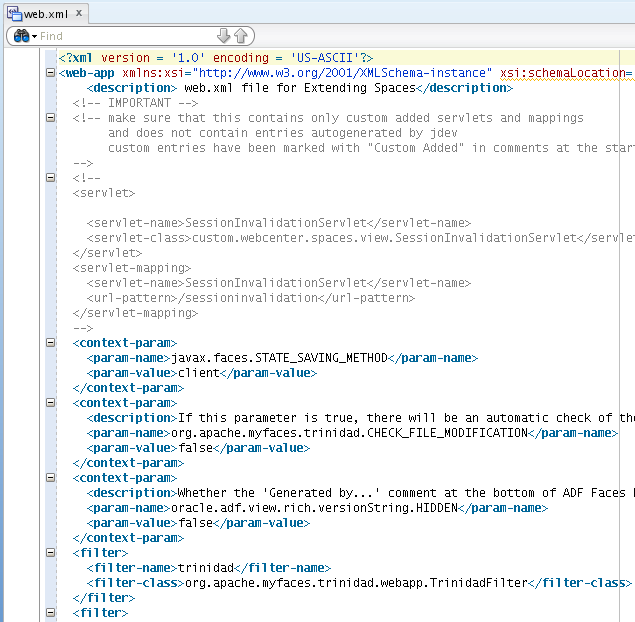 This exception will be thrown, if WebCenter Spaces workspace (one we are using to deploy custom code to WebCenter Spaces) contains invalid web.xml file. 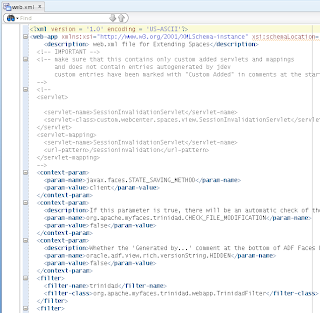 I will describe in this post how this configuration file can become invalid and how to fix it. 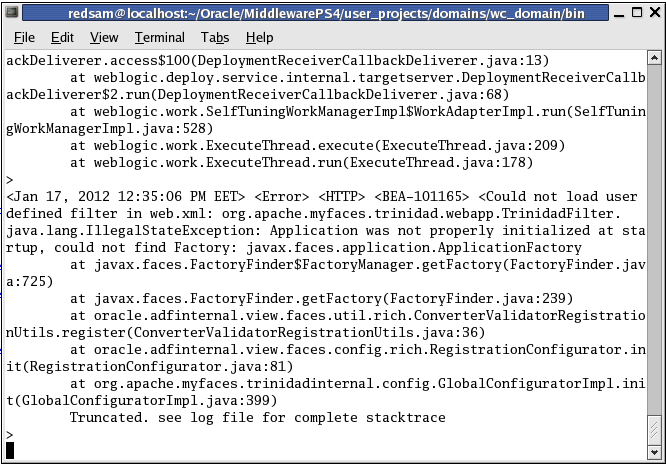 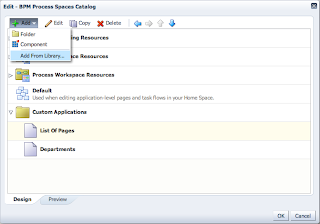 You can follow predefined procedure to rollback custom WebCenter Spaces library, if extending fails. 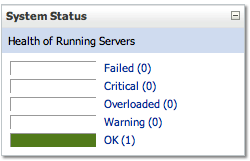 But why it would break? 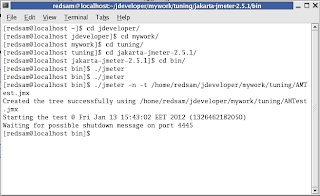 My goal was to test how scalable is ADF framework classical stack and if it can run for longer periods of time under constant runtime access. Experiment results - yes, ADF is scalable framework. 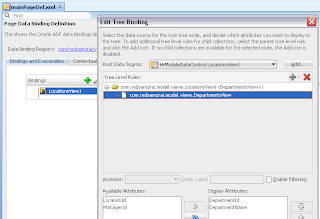 There are people who complain about ADF performance, please leave your comment if you are not happy with ADF - this post is dedicated to you. 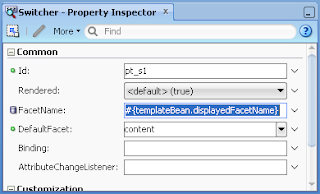 But before leaving your comment - please think about house construction process. 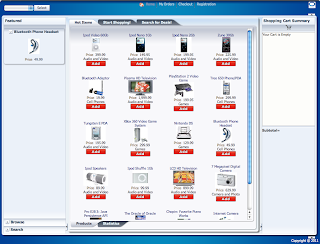 Even when using good quality tools and materials, still there is no guarantee that materials will be assembled correctly and house construction result will be as expected. 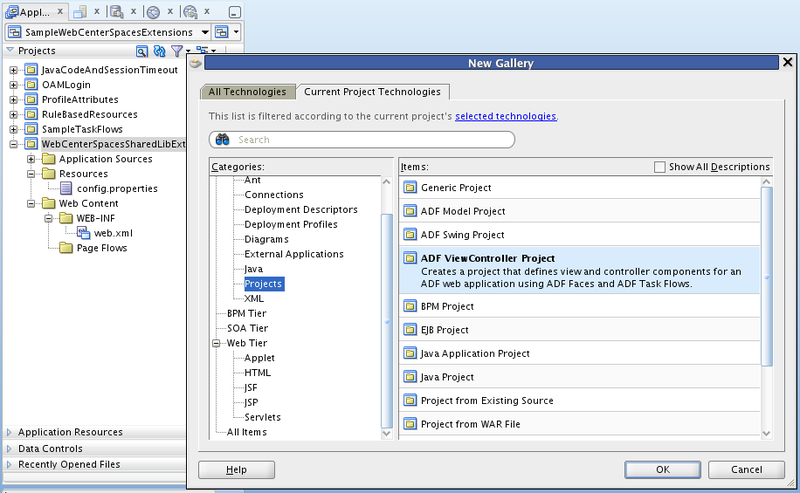 What I mean is - ADF application performance depends a lot how you are building your application, if you are following ADF best practices. 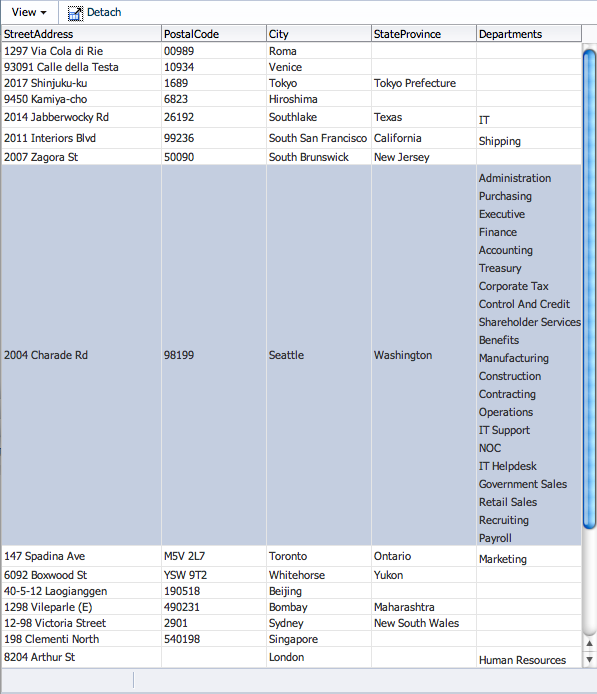 Would you hire builders to build your house without previous house construction experience? 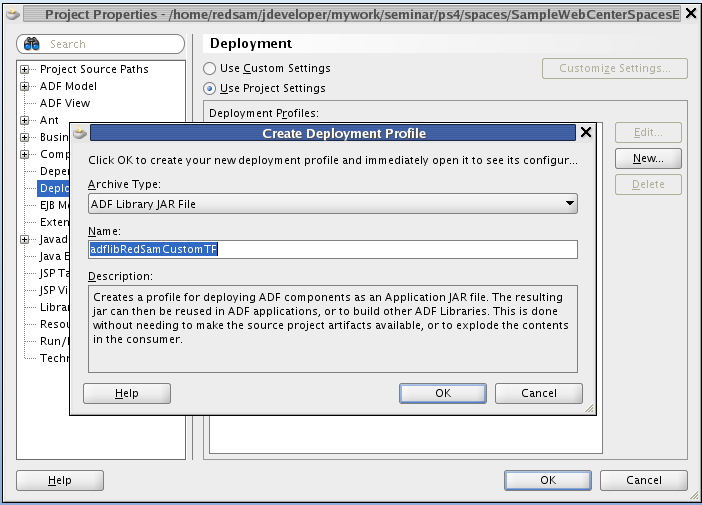 Think same about ADF - would you hire developers without ADF experience to build ADF application? 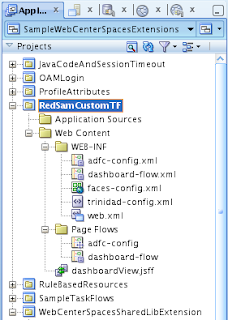 Yes, it happens quite often - people are building ADF applications without ADF experience. 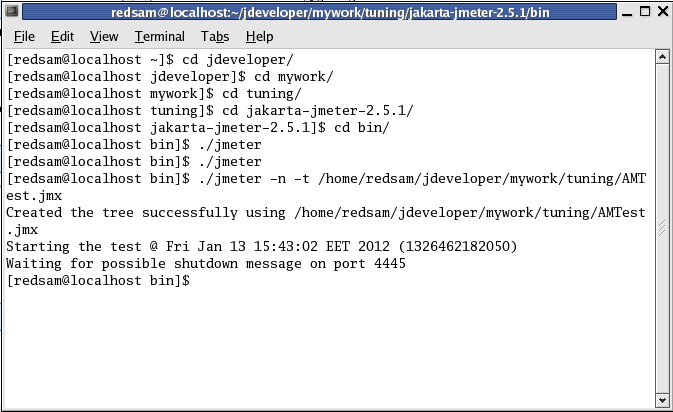 However, they tend to forget this fact, because its easier to blame framework at the end. 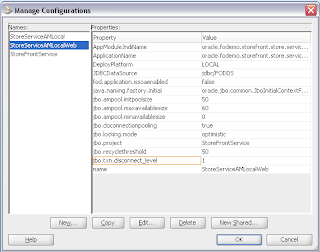 I was running performance test with standard Oracle ADF sample application - Oracle Fusion Order Demo Application For JDeveloper 11.1.1.5. 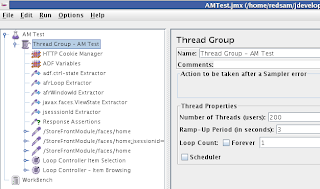 Performance test was executed with JMeter, download test script - AMTest_Long.jmx. 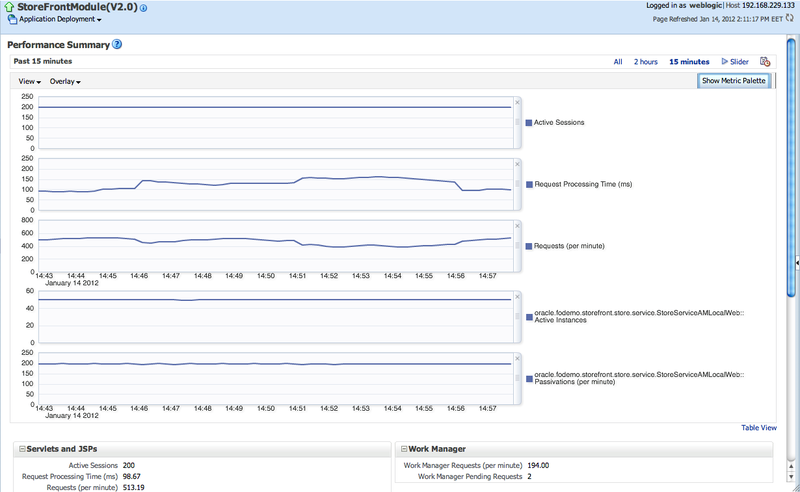 ADF BC was configured to support 50 concurrent users (Referenced Pool Size = 50), but stress test was executed with 200 users to show ADF scalability with larger number of users. 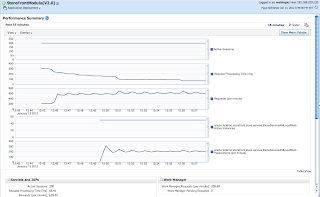 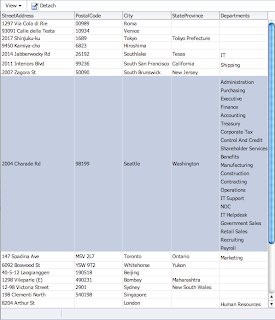 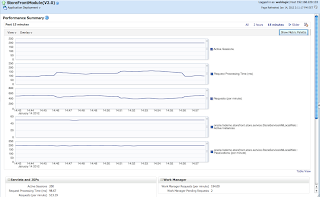 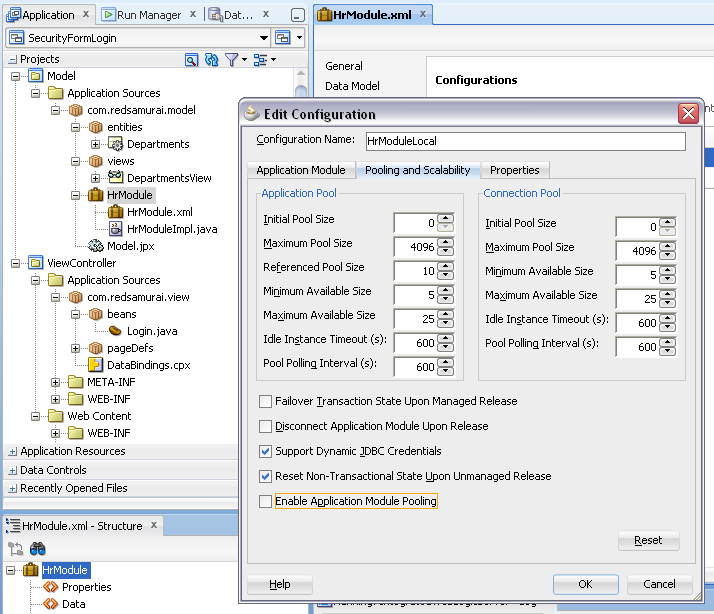 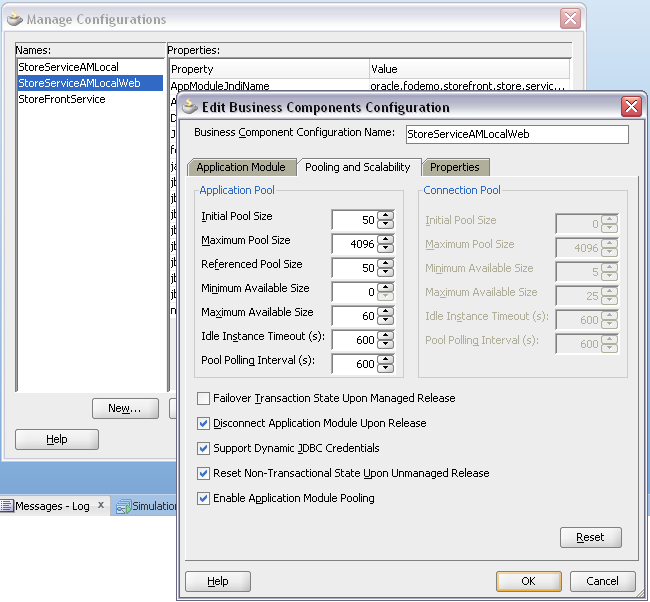 In order to minimize DB connections usage, I have enabled DB pooling and set to store passivation data in memory instead of using database PS_TXN table, based on my previous tests - Stress Testing Oracle ADF BC Applications - Do Connection Pooling and TXN Disconnect Level. 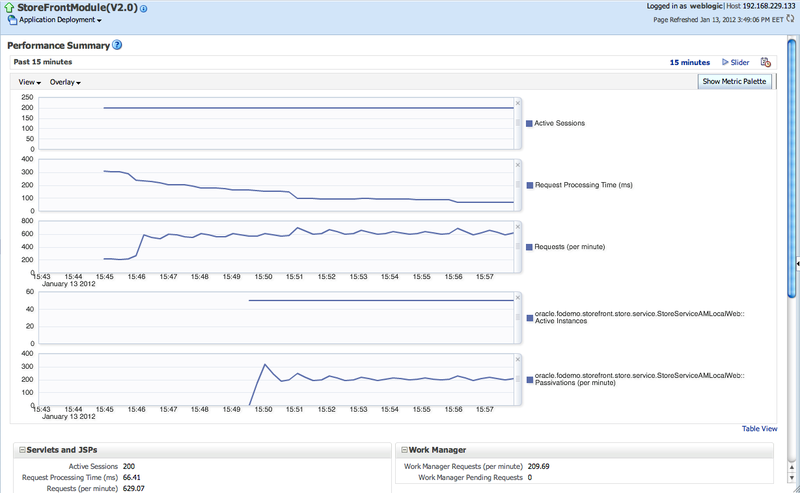 This shows almost no change in ADF application runtime performance, even after 22 hours of continuos runtime access - good news. 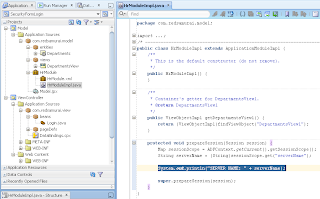 I will show slightly different approach how to implement Master-Detail relationship just with one iterator in ADF Bindings. 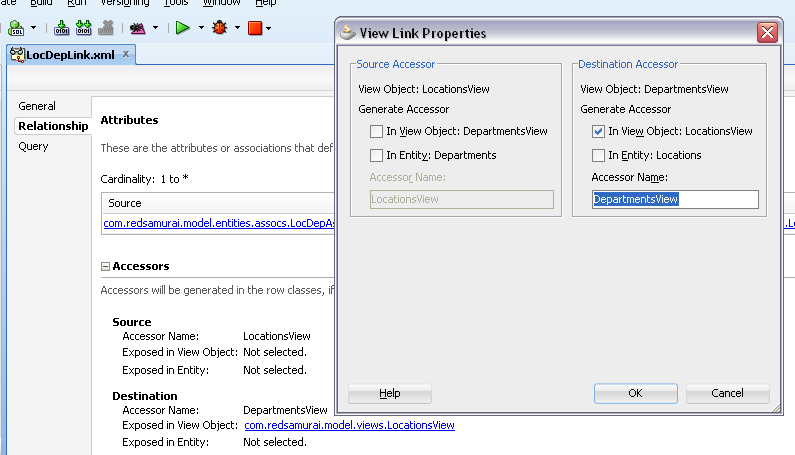 Detail row collection will be fetched directly through View Link Accessor. 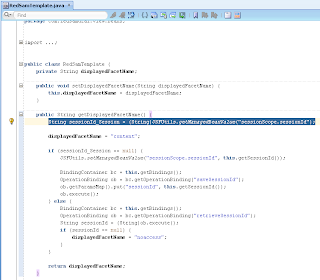 I guess such approach is especially good, when you need to display Master-Detail data in the same table and want to declare just one iterator in ADF Bindings. 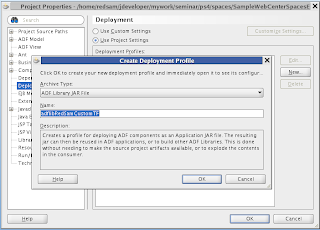 This is incorrect, it should be ADF Library Deployment profile. 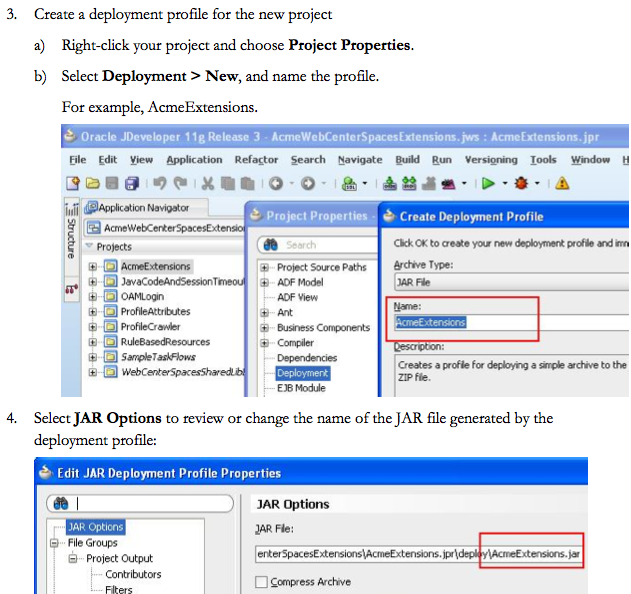 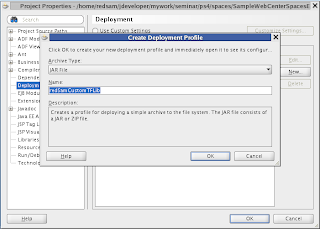 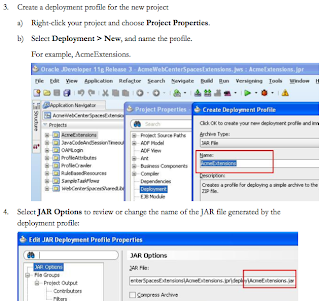 JAR deployment profile is not able to package ADF specific artifacts and deployed library will be invalid (unless you are extending with plain Java classes, which is highly unlikely).